Small handprints, and big footprints! 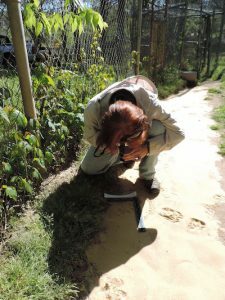 Register on our site and learn how to capture footprints! It’s free – all you need is sharp eyes and your camera or smartphone! 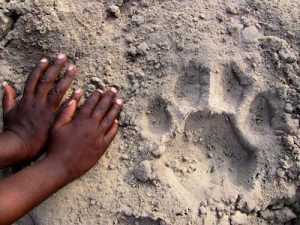 We regularly receive footprints from folks who have come across them in the course of a hike. We’d like to take that a step further by asking citizen scientists across the globe to send us images of footprints wherever they see them. Even a single footprint – if taken to our protocol – can provide a vital data point on our map that will allow us to be sure about the presence of a species. There are an estimated 8 billion visits each year to protected areas around the globe. Imagine if even 1 percent of visitors took some footprint images, how much data that could provide on endangered species, and how much better informed the conservation community could be!